Another series of CSIE’s popular disability awareness workshops took place last week, on Wednesday 23 November, for all S3 students in Turnbull High School in Glasgow. Six workshops were delivered, engaging groups of up to 17 students in each workshop, exploring disability from a range of perspectives. 100% of participants (students and staff) said that they found the workshop helpful; some of the reasons they gave are listed below. During the workshops students engaged in lively conversations about the meaning of specific words and possible implications beyond literal definitions. They also heard from numerous disabled people, through video clips or short extracts of selected writings, and considered what disability is and how it arises, the difference between disability and impairment, and the relative importance of similarities and differences between people. Through various real life examples, students identified some common assumptions about disability and considered how disabled people do things differently. At the end of each workshop students were asked to write on anonymous slips of paper whether they found the workshop helpful or not and why, and were offered a chance to ask additional questions anonymously, to which CSIE has sent written responses. “I have been reflecting on the very successful workshops last Wednesday and the impact they made on our young people. They were really engaged and certainly took a significant amount from them. I was really happy with the positive nature of the feedback and they seem anxious to use all the information and challenges put to them, saying that they will put them to good use in their daily lives. I definitely think that they will try to be advocates for the disabled. I was particularly impressed with the variety of clips and stories of disabled people and how they can overcome what others see as obstacles to having a full and enjoyable life. Very significant too was your ability to gauge the young people and react to their interests by varying the clips and slides to suit. Perhaps the part with the most impact on the young people and which brought home the big issue to them were the perception slides which challenged them to look at what disabled people can do rather than the obstacles which we the youngsters think they face. CSIE is proud to have been invited to contribute to a new European project on Improving Assistance in Inclusive Educational Settings (IMAS), which has secured funding from the Erasmus+ programme. The project was launched in Gleisdorf, Austria, last week and will run for one year. The IMAS project is led by the Austrian organisation Chance B and, in addition to CSIE, is joined by: Agency Vision (Bulgaria), ARCIL (Portugal), EASPD (Belgium) and TENENET (Slovakia). Collectively, the partners will consider the range of support available to disabled pupils in schools, and explore how best to support the learning and development of disabled pupils in ways which are consistent with the requirements of the UN Convention on the Rights of Persons with Disabilities. For more information please see the press release. Fifteen years on from CSIE’s national conferences in London and Manchester focusing on the role of learning supporters and inclusion, we are delighted to be part of this project and look forward to making a positive contribution to the way pupil support is organised in schools. "The United Kingdom Government is committed to continuing to develop an inclusive system where parents of disabled children have increasing access to mainstream schools and staff, which have the capacity to meet the needs of disabled children. The General Education System in the United Kingdom includes mainstream and special schools, which the UK Government understands is allowed under the Convention. The United Kingdom reserves the right for disabled children to be educated outside their local community where more appropriate education provision is available elsewhere. Nevertheless, parents of disabled children have the same opportunity as other parents to state a preference for the school at which they wish their child to be educated." The Committee on the Rights of Persons with Disabilities is a body of 18 independent experts which monitors implementation of the Convention. Last week, on 2 September, it published its General Comment no. 4 clarifying how Article 24 (Education) should be understood and implemented. The General Comment confirms that education in separate “special” schools is understood as segregation and should not be confused with the inclusive education which Article 24 calls for. This leaves the second paragraph of the above declaration, and the policy and practice it refers to, in need of urgent revision. General Comment no. 4 is a detailed, 24-page document, far longer than the 490-word Article 24 itself. In its Introduction, the Committee explains how the Convention envisages a shift in widespread perceptions of disability, from a historical position of seeing disabled people as welfare recipients to 21st century recognition of disabled people as rights holders, with a claim to the right to education without discrimination and on the basis of equal opportunities. It links the Convention to other international instruments confirming disabled children’s right to inclusive education (for example the UN Convention on the Rights of the Child, the World Declaration on Education for All, the Salamanca Declaration and Sustainable Development Goal 4) and refers to the OHCHR Thematic Study of the Rights of Persons with Disabilities to Education (2013) which affirms that only inclusive education can provide both quality education and social development for disabled children. The Committee notes its concern that profound challenges persist and lists, among them, the failure to understand the human rights model of disability, lack of knowledge about the nature and advantages of inclusive education, lack of information and lack of political will. In clarifying the content of Article 24, the General Comment confirms that inclusive education implies a transformation of culture, policy and practice, so that schools and other educational settings can respond to the full diversity of individual students. It stresses that inclusive education should be understood as a fundamental human right of all learners, which respects their inherent dignity and autonomy, and which is a means of realizing other human rights; for example, it is the primary means by which disabled people can lift themselves out of poverty. Most importantly, the Committee highlights the importance of recognizing the differences between exclusion, segregation, integration and inclusion. Segregation, not mentioned at all in Article 24, is defined in the General Comment as the education of disabled students in separate settings, isolated from non-disabled students. Integration, it says, is the process of placing disabled students in existing mainstream institutions and expecting them to adjust to the requirements of these institutions. Inclusion, on the other hand, is the process of “systemic reform” involving changes in content, methods, approaches, structures and strategies in education, so that all students can have an equitable and participatory learning experience. This, the Committee stresses, is what Article 24 means by inclusive education. The General Comment goes on to provide a detailed description of core features of inclusive education and offer a paragraph-by-paragraph explanation of how it intends Article 24 to be implemented. It draws attention to widespread practices which are inconsistent with its intentions, for example by clarifying that the denial of reasonable accommodation constitutes discrimination. General Comment no. 4 concludes with a section clarifying the obligations of those who have ratified the Convention, a section clarifying the relationship of Article 24 to other parts of the Convention, and a section describing the measures which need to be addressed at national level, in order to implement an inclusive education system for all disabled children and young people. The UK government ratified the UN Convention on the Rights of the Child in 1991. Twenty-five years on, the Committee which monitors implementation of the Convention has expressed serious concerns on a large number of issues. The Committee on the Rights of the Child examined the UK’s record in May and published its concluding observations earlier this month, on 12 July. This was the fourth time the UK has been examined, and the Committee expressed regret that some of its previous recommendations have not been followed up. In its report, the Committee expressed concern that many children continue to experience discrimination and social stigmatization, including through the media, for example: Roma, gypsy and traveller children; children of other ethnic minorities; disabled children; children in care; migrant, asylum-seeking and refugee children; and lesbian, gay, bisexual, transgender and intersex children. In response, the Committee recommended that the UK strengthens its awareness-raising and other preventive activities against discrimination and stigmatization. The Committee also expressed serious concern that the rate of child poverty remains high, disproportionately affects disabled children, children living in a household with a disabled person, households with many children and children belonging to ethnic minority groups, and affects children in Wales and Northern Ireland the most. It urged the government to set up clear accountability mechanisms for the eradication of child poverty, including by re-establishing concrete targets with a set time frame and measurable indicators. The Committee also expressed concern that the number of children with mental health needs is increasing and recommended that the UK regularly collects comprehensive data on child mental health and rigorously invests in child and adolescent mental health services. With reference to its general comment No. 8 (2006) on children’s right to protection from corporal punishment and other cruel or degrading forms of punishment, the Committee urged the UK to prohibit as a matter of priority all corporal punishment in the family, including through the repeal of all legal defences such as “reasonable chastisement”. With regard to education, the Committee expressed concern that substantial inequalities persist in educational attainment, particularly for boys, children living in poverty, Roma, gypsy and traveller children, disabled children, children in care and newcomer children. In particular, it expressed concern that disabled children or those with labels of “special educational needs” are often subject to the practice of “informal” exclusion or “taught off-site” to control their behaviour. It also expressed concern that relationships and sexuality education is not mandatory in all schools, its contents and quality varies depending on the school, and lesbian, gay, bisexual, transgender and intersex children do not have access to accurate information on their sexuality. The Committee expressed its continued concern that many disabled children are still placed in special schools or special units in mainstream schools and that many school buildings and facilities are not made fully accessible to disabled children; it also expressed concern that many disabled children do not see that their views are given due weight in making personal decisions in their life, including choice of support and future. The Committee drew attention to its general comment no. 9 (2006) on the rights of disabled children and urged the UK to adopt a human rights-based approach to disability, to set up a national strategy for the inclusion of disabled children and, specifically, to set up comprehensive measures to further develop inclusive education, to ensure that inclusive education is given priority over the placement of children in separate institutions or classes and to make mainstream schools fully accessible to disabled children. Another series of CSIE’s popular disability awareness workshops took place earlier this week, on Tuesday 5 July, for all students in Cherry Willingham Community School in Lincoln. Four workshops were delivered, engaging groups of up to 50 students in each workshop, exploring disability from a range of perspectives. All students in the school attended four separate workshops on a range of equality issues, with 15 minutes after every workshop to record key points in their form rooms. At the end of the day each form produced a poster based on their reflections from the entire day. The result was breathtakingly imaginative and insightful and we look forward to seeing more photographs from the school’s records. During the disability awareness workshops students engaged in lively conversations about the meaning of specific words and possible implications beyond literal definitions. They also heard from numerous disabled people, through video clips or short extracts of selected writings, and considered what disability is and how it arises, the difference between disability and impairment, and the relative importance of similarities and differences between people. Through various real life examples, students identified some common assumptions about disability and considered how disabled people do things differently. At the end of each workshop students were offered a chance to ask additional questions anonymously, to which CSIE will send written responses. Earlier this year CSIE published "Equality: Making It Happen", a succinct and user-friendly set of reference cards to help schools reduce bullying, address prejudice and promote equality holistically. The new guide has been sponsored by teachers’ union NASUWT, has won an Innovative Practice Award 2016 from the Zero Project, for a world with zero barriers, and is being translated into Spanish and Portuguese with more translations in the pipeline. The guide has attracted overwhelmingly positive feedback from users, for example: “an absolutely amazing resource that is easy to use and extremely well designed” (Primary School SENCO) and “this should be part of every teacher’s toolkit” (Secondary School Assistant Head Teacher). "Equality: Making It Happen" was launched at a one-day conference in London yesterday, 29 June, attended by teachers, school managers, teacher educators and representatives from academia and third sector organisations. Delegates found the event “excellent and inspiring”, “well balanced” and “highly thought-provoking” and commented that they valued the opportunity to reflect and to network. They also valued the wide range of presentations, including those from Professor Sheila Bennett of Brock University, Ontario, Patrick Roach, Deputy General Secretary at NASUWT, the film from Emersons Green Primary School and the powerful video presentation from a young person’s perspective. A series of Equality Workshops, linked to "Equality: Making It Happen", was introduced with a successful workshop in Cardiff last week and is due to continue offering workshops throughout the country this term and in the autumn. Alongside all these exciting achievements, recognition from others continues to grow. CSIE’s director continues to chair the national advisory group on Equality, Diversity and Inclusion, set up last year as part of the Expert Subject Advisory Groups, and invitations to speak at conferences and contribute to edited books and journals continue to arrive. A one-day conference will be held in London on Wednesday 29 June, 10 am – 4 pm, at the Resource for London, 356 Holloway Rd, London N7 6PA. The conference will bring together people who want to do more to reduce prejudice and promote equality in schools. It will offer an opportunity to network, learn from one another and explore possibilities for an online Equality Network. Confirmed speakers include: Patrick Roach, Deputy General Secretary at NASUWT; Sharon Hodgson, MP, Shadow Minister (Education); Professor Sheila Bennett, Brock University, Ontario; and representatives from schools involved in creating Equality: Making It Happen. The conference is free to attend but places are limited and must be booked in advance. The Department for Education published a White Paper entitled Educational Excellence Everywhere yesterday, 17 March, announcing the educational reforms it intends to carry out over the next five years. Despite setting up an Excellent alliteration opportunity, the DfE has made no mention of Equality in this 125-page document except once, in passing, in the context of the need to create more opportunities for part-time work and job-sharing. CSIE welcomes some of the plans laid out in the White Paper, especially the DfE’s intention of establishing “unapologetically high expectations” of all children; as long as it is safe to assume that all means all and that expectations will be realistic and shared with children and their families. We also welcome plans to ensure that Initial Teacher Education and continuing professional development adequately equip all teachers to respond to “special educational needs”, building capacity in schools, building a diverse workforce and increasing diversity in leadership. At the same time, some of the suggestions in this document leave us confused or disappointed. The description of a “world-leading curriculum for all”, expected to make our society “fairer, more cohesive, productive and innovative” makes no mention of educating young people away from prejudice or of helping them learn about diversity and human rights. CSIE believes these should form an integral part of a curriculum fit for the 21st century. Further, the White Paper states that Ofsted will no longer be concerned with process; instead, inspections will be focused squarely on outcomes. It is not clear whether such outcomes will include levels of bullying or other evidence of a safe learning community where all can achieve. If the only outcomes to be considered are related to exam results, one could argue that this reflects an alarmingly narrow understanding of achievement. We welcome the intention to increase diversity in the workforce but are deeply disappointed to see that the Department’s understanding of diversity in the workforce is limited to addressing flexible working through part-time work and job sharing (p27). Diversity in leadership (p49) makes appropriate reference to some of the protected characteristics of the Equality Act 2010, but makes no mention of disabled school leaders. These are serious omissions which seem inconsistent with the letter as well as the spirit of the law. We look forward to the publication of the DfE’s statistical release “School Workforce in England – November 2015” later this year, and to hear the Department’s response to this evidence, in the context of its obligations under the public sector equality duty. The “clearly defined role for local authorities” includes ensuring that the needs of vulnerable pupils are met, but we cannot see how local authorities can be expected to ensure this, considering they are no longer permitted to set up new schools. Above all, we are gravely concerned at the announcement that all state funded schools in England will be forced to convert to academies and that the implication is that this will lead to school improvement. Even if there was evidence to support this claim, a democratic government would be expected to carry out a thorough consultation before implementing such extensive and irreversible reforms. Worse still, the evidence available contradicts the claim that converting all schools to academies would lead to school improvement. Ofsted has expressed major concerns about eight of the nine large Multi Academy Trusts it has inspected; we present some of the summary findings below, with thanks to Reclaiming Education for drawing our attention to them. “Access to a great education is not a luxury but a right for everyone” concludes the Secretary of State in her foreword to the White Paper. We could not agree more, in fact you could have taken these words right out of our mouths. There are plenty of Excellent phrases in this foreword and throughout the document: indeed a good education is an “engine for social justice” and “investing in our education system is an investment in the future of our nation”. But rhetoric is not enough. This government and the coalition government before it have been accused of dismantling the state education system. The fact remains that undertaking such extensive and irreversible reforms with little or no consultation is inconsistent with democratic values. A petition has been set up expressing a range of concerns at the proposal to convert all schools to academies and demanding that the government holds a full public inquiry, taking into account educational research and the views of teachers, parents and students. CSIE is delighted to have received an Innovative Practice Award 2016 from the Zero Project, for a world with zero barriers, for our work on Equality: Making It Happen - A guide to help schools ensure everyone is safe, included and learning. Created with schools for schools and sponsored by the NASUWT, the largest teacher's union in the UK, CSIE's new guide helps schools address prejudice, reduce bullying and promote equality holistically. “Seductively practical” and user-friendly, the guide is made up of succinct reference cards, covering all equality strands and aspects of school life, which offer: key information; practical advice and suggested activities; examples of good practice; equality monitoring tools; and sources of further information and support, including lesson plans. 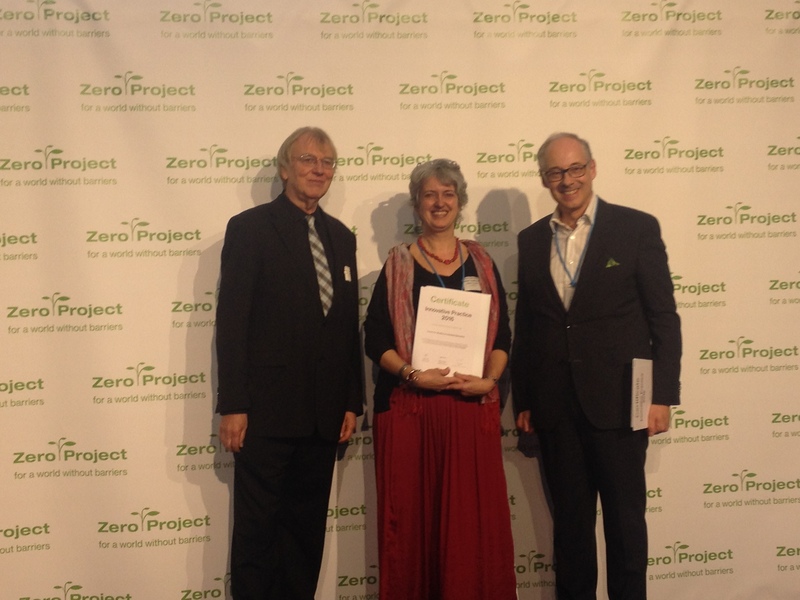 The award ceremony was held on Wednesday 10 February during the Zero Project Conference 2016 at the United Nations offices in Vienna. More than 500 participants from 70 countries attended in person and many more via the accessible online livestream. CSIE director Artemi Sakellariadis received the award on behalf of everyone who has helped create the new guide. The whole project has been made possible with financial support from the NASUWT, Big Lottery Fund, Molitor Foundation, Reuben Foundation and RTR Foundation. Equality: Making It Happen has been created in close collaboration with eight schools: Eastlea Community School in London; Emersons Green Primary School in South Gloucestershire; Little Heath School in West Berkshire; North Beckton Primary School in London; Redland Green School in Bristol; Sir John Heron Primary School in London; The Wroxham School in Hertfordshire; and Yeo Moor Primary School in North Somerset. More schools, organisations and individuals have contributed to the development of Equality: Making It Happen and are all listed, and thanked, in the acknowledgements section of the guide itself. CSIE remains grateful to them all. Equality: Making It Happen is available directly from CSIE at the discounted price of £30 (RRP £75) and, during February only, at the introductory price of £25. CSIE has responded to the Education Committee’s inquiry into the purpose and quality of education in England. The call for submissions included a link to a short video where a range of people said what they thought the purpose of education should be. Their views included: to get people a good job, or basic life skills, to help people realise their full potential, to give preparation for day-to-day life, to enable critical thinking leading to informed choices, and to enable people to get a good job and be happy. These do not appear to be conflicting views; they are all variations on the theme of creating the possibility of a better tomorrow. They are all, however, focused on what individuals get out of a good education, with no mention of the benefit to society as a whole. In its response, CSIE suggested that the primary function of education is to enable children and young people to become responsible and informed citizens, capable of sustaining happy and fulfilling lives for themselves and for others. It added that an agreed set of core values and a culture of respect, for one another and for the environment, are essential in order to enable future generations to establish sustainable communities free from prejudice and discrimination. CSIE further argued that, at a time when information has become easily and readily available, education’s role needs to expand from a conventional learning of facts and skills organised around a range of curriculum subjects, to a more empowering set of life skills relevant as much to information processing as to interpersonal relationships and communication. In addition, CSIE’s response highlighted concerns about the narrow focus of what the DfE calls “fundamental British values” and about the negative impact which league tables and the standards agenda can have on school admissions. CSIE recommended that the Equality Act 2010 should be reflected in any framework used to evaluate the quality of education. CSIE further recommended that pupils should learn more about equality and human rights and be supported to monitor and promote these in school. In addition, schools should take every opportunity to challenge stereotypes and educate people away from prejudice, as well as enable pupils to develop a range of interpersonal skills such as collaboration, negotiation and conflict resolution. Last but not least, CSIE recommended that schools should be encouraged and supported to educate all children from their local community, including disabled children and those categorised as having special educational needs, especially when their parents have requested this, and that schools should be specifically evaluated on their development of provision for these learners. 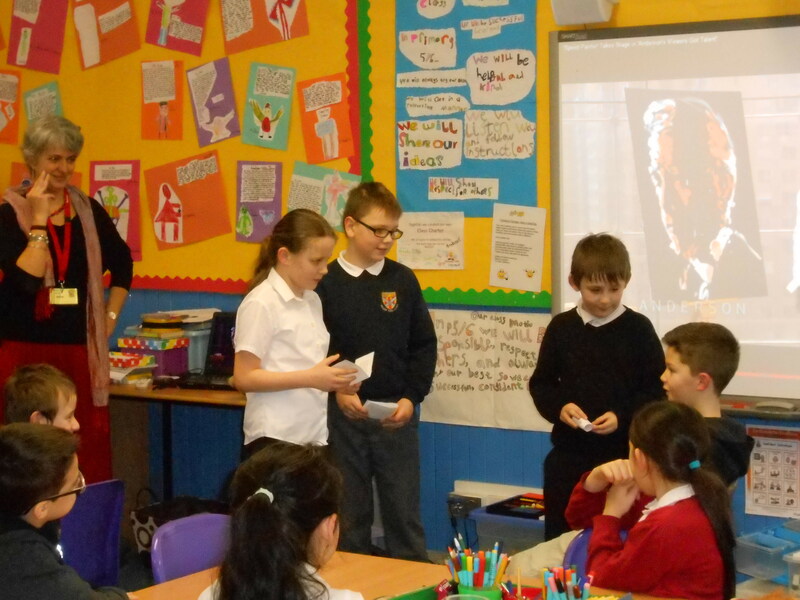 CSIE’s popular disability awareness workshops, recently adapted for younger pupils, took place in Walker Road Primary School in Aberdeen on Friday 15 January. A whole-school assembly invited all children to see how disabled people do things differently and five workshops, delivered throughout the rest of the day for groups of up to 25 pupils at a time, enabled children to explore disability from a range of perspectives. Pupils engaged in role play and in lively conversations about how disability is understood. They also heard from numerous disabled people, through short video clips, and considered what disability is and how it arises, the difference between impairment and disability, and the relative importance of similarities and differences between people. Through various real life examples, pupils considered how disabled people do things in different ways. At the end of each workshop pupils were invited to complete a feedback slip, to say whether they found the workshop helpful or not and why, and offering them a chance to ask a question anonymously. CSIE has collated this information and written to the school including responses to all questions pupils asked. CSIE has developed these workshops in direct response to the Equality and Human Rights Commission’s recommendation that schools should do more to help pupils understand disabled people, the social model of disability and the prejudices disabled people face (“Out in the open”, EHRC, 2012).